In 2013, I had a little 5 years old eager to learn. We used to read a lot of books together. And, we still do, but the electronic devices were more exciting than daddy! Therefore, I explored ways of creating an engagement between him and the electronic devices. And, at that point, I decided to participate to the crowdfunding campaign for Kano Computer (https://kano.me/uk) on Kickstarter. Kano arrived. This very nicely designed box with all these bits inside to build your own computer and start coding and playing was in front of us. I was excited, my son a bit less. I guess the old software developer in me was coming back, but for my son the all story required some intellectual effort that, perhaps, was not there yet. I did not force him, but slowly the interest came. My interest in engaging kids with technology remained. The school my kids attend has also fed that interest. The activities in their science and tech lab are very diverse. Coding is an important activity, but also trying to play with devices, particularly wearable devices, is entering the lab and attracting the enthusiasm of the kids. Therefore, inspired by that, I have run a little research on what is out there for teaching the Internet of Things in primary and secondary schools. Here, I share some insights. Systematic way of bringing the Internet of Things at school started to appear during the period 2013-2015. Two projects happened during that period that deserves attention. Project Distance in the UK, promoted by Innovate UK, brought together ScienceScope, a specialist in introducing technology in schools, with other stakeholders such as University of Birmingham, UCL, Xively, Intel and others. The project involved 8 schools in the UK. Each school was equipped with the following components: an environmental logging box containing various oxides, a weather station, a generic logger, and various sensors. Dataloggers were developed to upload data form the sensors to the cloud to an IoT platform designed for the purpose, the Distance Exploratory. These resources were used for teaching and learning activities. Sciencescope is continuing to engage with other schools worldwide using the same model. Arduino and Raspberry PI have become very common IoT educational tools. Arduino has a dedicated educational team (https://www.arduino.cc/en/main/education). The team provides teaching kits from middle school classes until university classes. Other IoT companies have faced the challenge of attracting students in the IoT space. The experience of the “IoT Spartans Challenge” run in 2017 by Libelium and supported by companies such as Bosch is a good example to mention. However, educating school children at what their world will be remains a challenge. That challenge requires an effort from the IoT community, and that effort has not been seen yet. But there are projects and organisations that work in that direction. Five ideas used today are shown in the picture below. Starting from different angles, the projects briefly discussed in the picture introduce the kids to the concepts behind the IoT and to how a world made of connected and intelligent objects could look like. But there is much more to explore. For example, the use and the role of data in a connected world. And, with that, all the implications related to security and privacy. The IoT is vast from a technological point of view and its impact in economic sectors and different levels of society is tremendous. It is important to prepare the future generation to that. The IoT community should increase its effort in educating the youth for enabling them to understand the world the IoT and other technologies are shaping. Saverio Romeo is a technology and strategic adviser for several projects. He supports IoT Analytics as Strategic Adviser supporting their research in the IoT and blockchain. He advises Xsure, a newly formed start-up, for developing their blokchain-AI solution for connected devices. He is also Lead Expert for the EU Digital Cities Challenge Project supporting the city of L’Aquila in defining its digital transformation strategy. 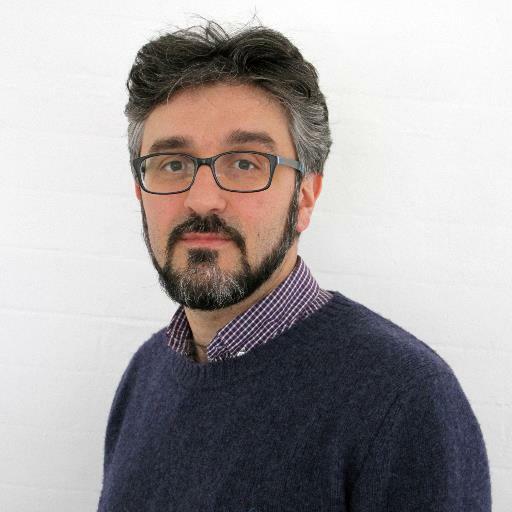 Previously at Beecham Research, Saverio, as Chief Research Officer, run technology market research in the areas of M2M, Internet of Things, and wearable technologies. He worked as an M2M/mobile analyst at Frost & Sullivan, telecommunications policy analyst at Technopolis Group and European Commission and as a software developer at DS Group. He has talked about IoT related topics as presenter and panelist at several conferences such as IoT Tech Expo, IoT Forum, IoT Convivio, MWC, Wearable Technology Show, and IoT Week. He is also Seminar Lecturer on the IoT Market at Birkbeck College Ubiquitous Computing course. Saverio is also a Visiting Fellow at the Centre for Innovation Management Research at Birkbeck, University of London.